The Cyberview two Consoles KVM switch enhanced the function of standard USB KVM with two simultaneous users when one of them is sitting 500-feet away in maximum from the switch. The two consoles USB KVM switch comes configured for either 8 or 16 ports. The switch supports for variety of VGA monitor types as well as USB keyboard, and USB mouse peripherals. Two Consoles KVM switch would also be an advisable choice as the cables connecting servers to switch are highly compatible. STP / UTP cable will be the one for connecting local switch to remote console. Multi-platform - Mix PCs, SUN Microsystems, IBM compatibles, HP, Compaq and Dell. Hot Pluggable - Add PCs or remove connected PCs for maintenance without powering down the USB KVM switch or PCs. No S/W required - Easy PC selection via on screen display manual, push buttons and hot-key. Support one CAT.5 remote console up to 500 feet away from KVM switch. High video quality with up to 1,920 x 1,440 and 200MHz bandwidth. Scan mode with Monitor servers at intervals 5 to 99 seconds. VGA, keyboard & mouse all-in-one by 15pin HDDB connector at KVM side. The CV-802 VGA DB-15 Combo KVM can be controlled by one user from up to 500ft (150m) away over CATx cable using the integrated CATx extender with the included KVM receiver. The CyberView VGA DB-15 Combo KVM switches support any computer platform with USB, PS/2, or Sun keyboard and mouse interfaces, including all versions of Windows, Mac, Linux & SUN systems. One local user or one extended user can control 8 multi-platform servers. Expand up to 256 source computers simply by linking VGA DB-15 Combo KVMs. 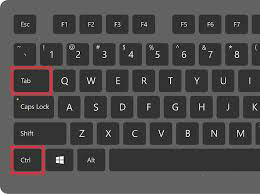 The CyberView CV-802 can be switched using selectable keyboard hotkeys, front-panel push buttons, or with a mouse through an on-screen-display (OSD). These switching options allow you to quickly reassign connected devices to any of the connected computers. Expand up to 256 source computers simply by linking VGA DB-15 Combo KVM units using CBC-6 cables. 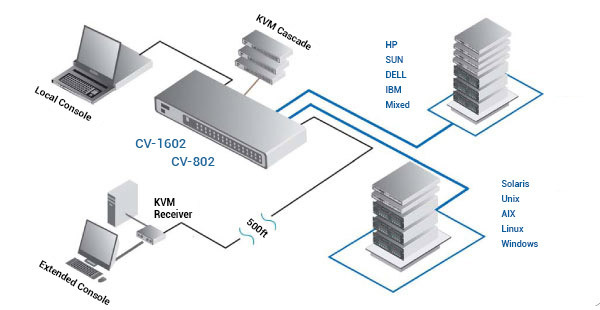 The CV-802 KVM automatically detects up to 8 levels of cascade connections, which can be made up of a mix of CV-S801 / CV-S1601 KVM switches. 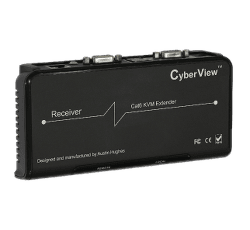 CyberView CV-802 ships with 100-240V AC power. Alternatively, customers can also get 12V / 24V / 48V / 110V / 125V / 250V DC power input, integrated into the KVM. 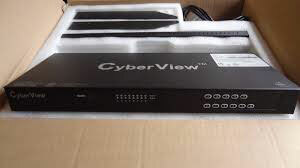 CyberView CV-802 KVM switch can be rack mounted into 1U of space (rack brackets included), or it can be purchased integrated into a CyberView Rack Console. Small size also makes the units ideal for mounting behind third-party rack console. Question: Will this unit support dual consoles... Does it include 8 USB device cables? AND which partner is the remote console device? Answer: Thank you for your inquiry. The CV-802 does support two consoles, one a local console at the back of the switch and a second that can be extended up to 150 meters away via CAT5/6 cable (the remote receiver ships with the switch). This unit ships with 8 x 6-foot 4-1 USB cables (CE-6: https://www.kvm-switches-online.com/ce-6.html) as well as the remote receiver. Detailed product support is beyond the scope of this FAQ. That being said, KVM switches generally do not need any drivers installed. 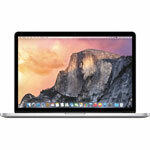 You may experience some flickering when switching devices but that would be temporary. I would check to make sure that all the cables are connected and don't have any bent pins. 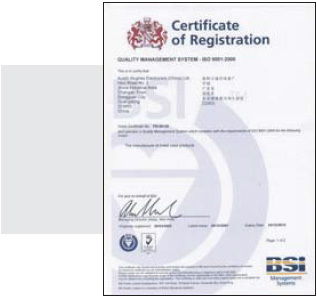 If the problem persists, you can contact the manufacturer directly at support@austin-hughes.com.